When Lori Patin first received her diagnosis of Parkinson’s at age fifty-five, she wanted to cry until she died. When she made up her mind to fight the disease, her husband and caregiver, Bob, took a stand beside her. InLori’s Lessons, author Carol Ferring Shepley tells the story of the Patins’ love throughout the course of the disease and how it affected their lives. But this memoir is about much more than Lori’s struggle against Parkinson’s disease, a progressive, incurable, degenerative disorder that affects the central nervous system. It’s also the story of someone who has faced a terrible challenge, met it head-on, and refused to concede. In the struggle, she has learned vital lessons about life itself. Lori’s Lessons shares how for fifteen years, Lori fought relentlessly, but in the summer of 2011 she lay in a coma. At the time, Bob thought the best he could hope for was to bring her home with a nurse. Thanks to a miraculous remission, however, today she doesn’t even have tremors. 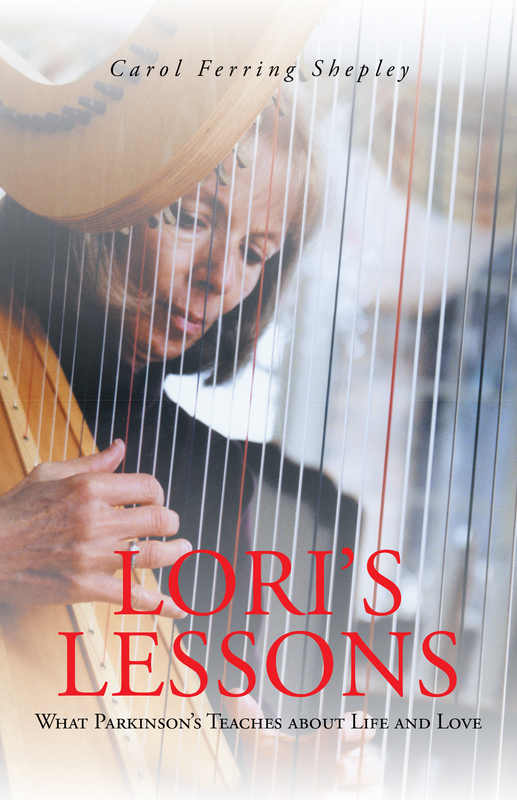 Offering inspiration and hope, Lori’s Lessons presents a 360-degree perspective on how Lori attacked the disease. She has taken many pharmaceuticals, but the two strongest drugs in her regimen are hope and faith.